Here is a great workout for you to try as you get ready for the FRF Challenge. 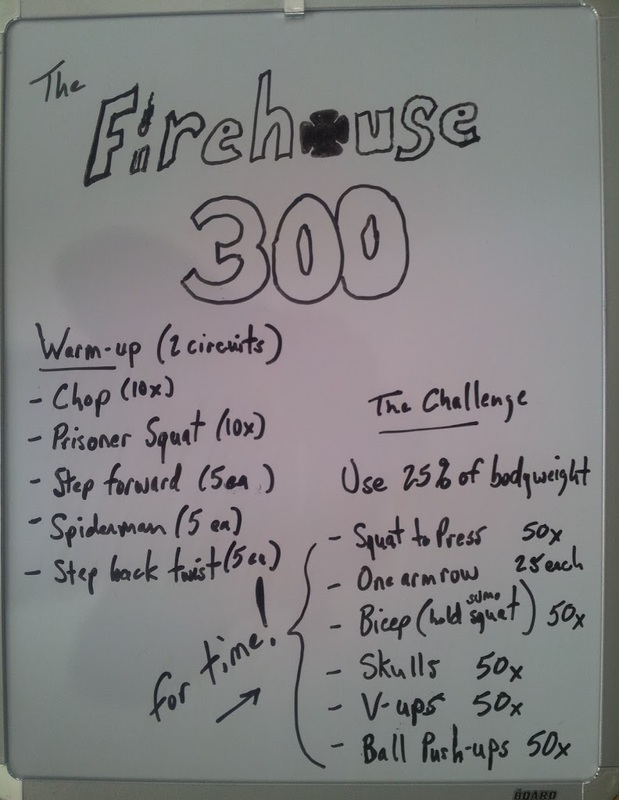 This is a great 300 rep challenge workout that you can do in the firehouse with minimal weight. The goal of the workout is to finish in the shortest amount of time possible, not by rushing your reps but by not resting…. If you have not worked out for a while, take your time, focus on form. All you need for this challenge workout is a stability ball and a weight. The object of the workout is to complete 50 reps of each exercise (300 total) as quickly as possible. There is a catch of course, each rep has to be performed in a controlled manner and bad reps don’t count. Safety first, form is your biggest focus. Again, if you are just starting, take your time, do a couple of reps then rest. You can do the reps in any order and even mix and match if needed as long as you do 50 of each. Personally, I like to choose two exercises and alternate between them until the reps are completed. As a guideline choose a weight that is around 25% your body weight. For example if you weigh around 180 pounds use a 45 pound weight. Don’t forget to record your total workout time. Enjoy! You must perform this warm-up before timing the workout. Perform 6-10 reps of each warm-up for 2 circuits.